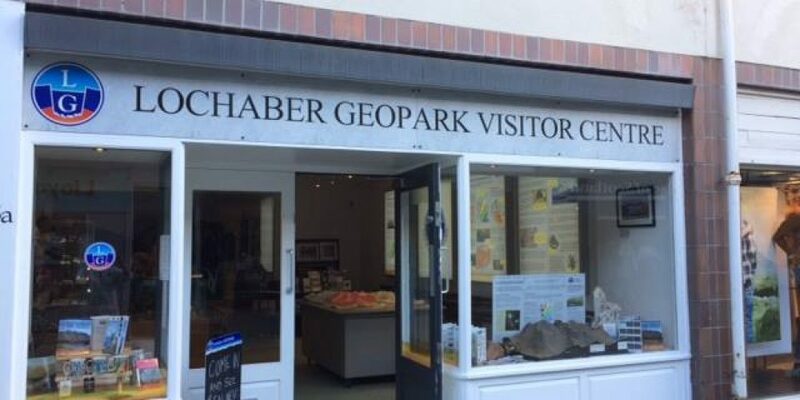 The Lochaber Geopark Visitor Centre is in the heart of Fort William’s High Street. Come and visit us to learn all about Lochaber’s vast geological history from the UK’s tallest mountain and its deepest lochs. Inside we have a range of hand-made local crafts, a 3D map of the area and an interactive sandbox – where you can even build your own mountains! Or you can venture outside with our local geology experts and experience Lochaber’s impressive geology first hand on our Geotours, ranging from half day trips up to 5-day field excursions.